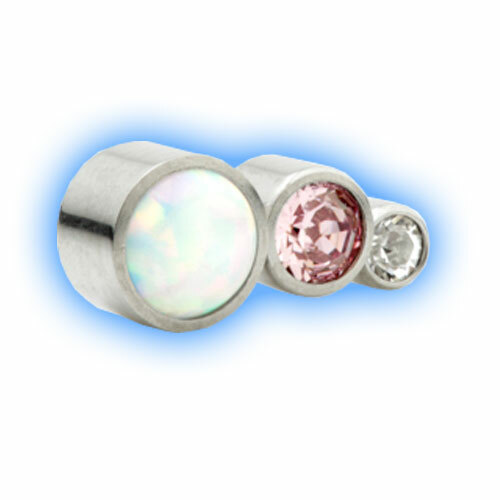 This stunning opal attachment is for 1.2mm (or 16 gauge) internally threaded body jewellery such as barbells or labret studs, they are made out of Grade 23 Titanium and the thread on them is 0.9mm thick. 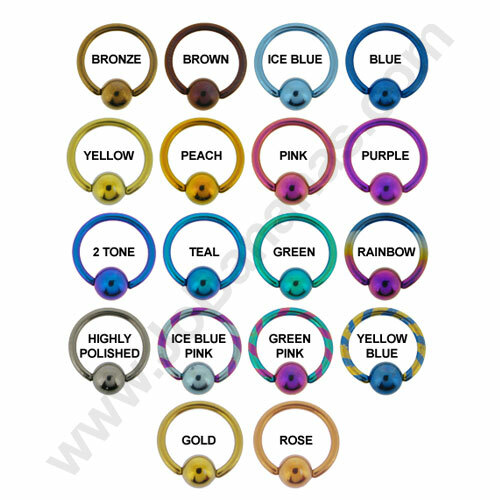 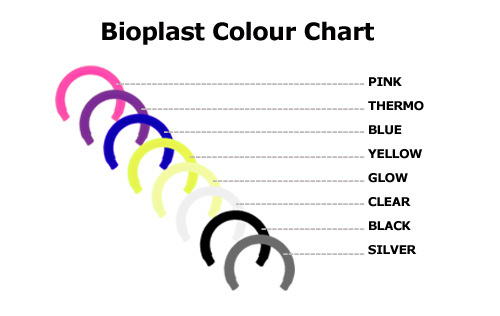 Internally threaded jewellery is very good for piercings because it is easy to insert into piercings and less likely to cause any irritation when fitted because the whole bar is smooth. 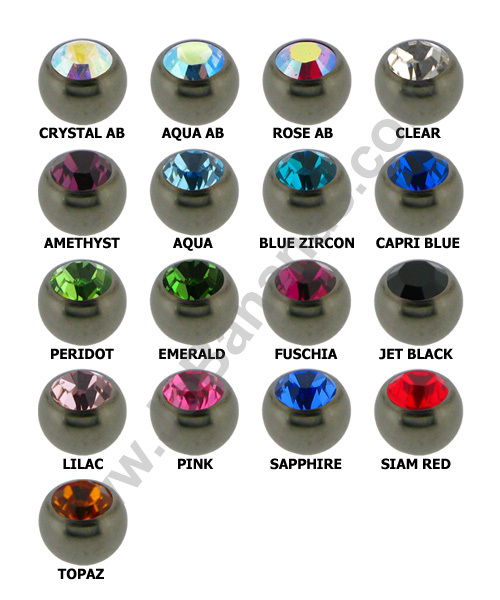 The design features a synthetic White Opal in 4mm, a Lilac Gem in 2.5mm and a 2mm Crystal gem, it is very unusual and looks amazing in piercings.